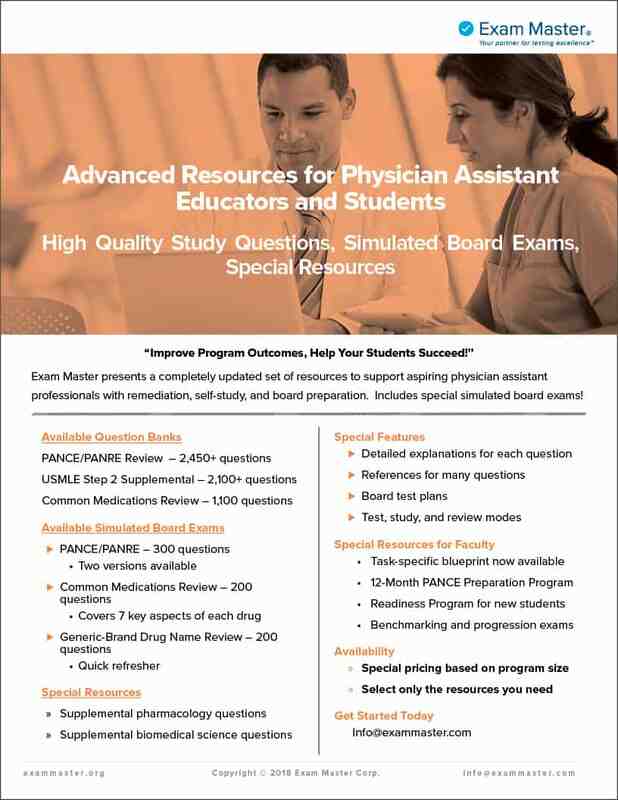 Support Your Physician Assistant Program with High Value Resources from Exam Master. Exam Master presents a completely updated set of resources to support aspiring physician assistant professionals with remediation, self-study, and board preparation. Special simulated board exams included!